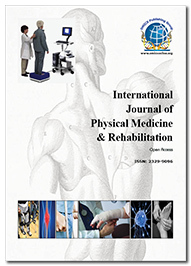 Related Conferences: 2nd International Conference on Sports Medicine and Fitness, April 18-20, 2016, Dubai, UAE; 2nd International Conference and Expo on Novel Physiotherapies, June 9-11, 2016 London, UK; 4th International Conference and Exhibition on Physical Medicine and Rehabilitation, August 25-27, 2016 Philadelphia, USA; 6th International Conference of Physical Therapy in Psychiatry and Mental Health, Madrid, Spain; 13th International Congress of Shoulder and Elbow Surgery Jeju ,Korea; 4th World Health Professions Regulation Conference, Geneva, Switzerland; 4th World Parkinson Congress, Portland, USA; International Congress: Comprehensive Aquatic Therapy put into Practice, Querétaro, Mexico; International Forum on Disability Management 2016, Kuala Lumpur, Malaysia; The 8th Musculoskeletal Ultrasound Intervention Course 2015 Bath, United Kingdom; American Academy of Physical Medicine and Rehabilitation Annual Assembly 2015, Boston. Physiotherapy is concerned with identifying and maximizing movement potential, within the spheres of promotion, prevention, treatment and rehabilitation. Physical therapists practice in a broad range of inpatient, outpatient, and community-based settings such as hospice and palliative care centres where as part of a multidisciplinary team of care, they address the physical and functional dimensions of the patients’ suffering. Physiotherapy treatment methods like therapeutic exercise, electrical modalities, thermal modalities, actinotherapy, mechanical modalities, manual physical therapy and assistive devices are useful for a range of life-threatening and life-limiting conditions like cancer and cancer-associated conditions; HIV; neurodegenerative disorders like amyotrophic lateral sclerosis, multiple sclerosis; respiratory disorders like idiopathic pulmonary fibrosis; and altered mental states. There are well over 20 different treatment approaches commonly used by your physiotherapist. Physiotherapists have been trained in the use of exercise therapy to strengthen your muscles and improve your function. Physiotherapy exercises have been scientifically proven to be one of the most effective ways that you can solve or prevent pain and injury. Women’s Health Physiotherapy is the therapeutic treatment of all disorders affecting the pelvis and pelvic floor. From incontinence to prolapse, pelvic pain or constipation, there is growing evidence that physiotherapy can alleviate, and in many cases cure these symptoms. Most women don’t know that help is available and it can be an embarrassing topic. Common physical therapy goals of enhancing strength, flexibility, balance, coordination, sequencing, motor control, kinaesthetic senses, posture and alignment can be impacted with the judicious use of Yoga and certain yogic principles. For example, the mindfulness and visualizations of Yoga are used to enhance body awareness, balance and alignment. The "holding" phase of the Yoga asanas help to build isometric muscle power, tone muscles, and perform active stretching of targeted muscle groups. The controlled transitions in and out of postures enhance coordination, sequencing and motor control. By breathing into the postures, muscle spasms can be relaxed, and pain can be relieved. Synchronizing the breath with the movements further enhances oxygenation, and energy levels, leading to a feeling of wellbeing. Not only can your physiotherapist assist you at sport, they can also assist you at work. Ergonomics looks at the best postures and workstation set up for your body at work. Whether it is lifting technique improvement, education programs or workstation setups, your physiotherapist can help you. Cardiac Electrophysiology (also referred to as clinical cardiac electrophysiology, arrhythmia services, or electrophysiology), is a branch of the medical specialty of clinical cardiology and is concerned with the study and treatment of rhythm disorders of the heart. This specialty area includes electrotherapy/physical agents, electrophysiological evaluation (EMG/NCV), physical agents, and wound management. Paediatric physical therapy assists in early detection of health problems and uses a limited variety of modalities to provide physical therapy for disorders in the paediatric population. These therapists are specialized in the diagnosis, treatment, and management of infants, children, and adolescents with a variety of congenital, developmental, neuromuscular, skeletal, or acquired disorders/diseases. Treatments focus mainly on improving gross and fine motor skills, balance and coordination, strength and endurance as well as cognitive and sensory processing/integration. Physical therapy or physiotherapy is a physical medicine and rehabilitation specialty that remediates impairments and promotes mobility, function, and quality of life through examination, diagnosis, prognosis, and physical intervention (therapy using mechanical force and movements). 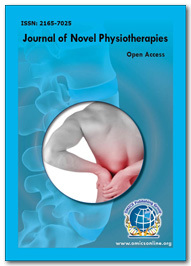 It is carried out by physical therapists (known as physiotherapists in most countries). Sports related Physiotherapy is the specialized branch of physiotherapy which deals with injuries and issues related to sports people. Sports injuries do differ to everyday injuries. Athletes normally require high level performance and demand placed upon their body, which stresses their muscles, joints and bones to the limit. Sports physiotherapists help athletes recover from sporting injuries, and provide education and resources to prevent problems. Each sports physiotherapist usually has sport-specific knowledge that addresses acute, chronic and over-use injuries. Their services are generally available to sports men and women of all ages engaged in sports at any level of competition. Related Conferences: 2nd International Conference on Sports Medicine and Fitness, April 18-20, 2016, Dubai, UAE; 2nd International Conference and Expo on Novel Physiotherapies, June 9-11, 2016 London, UK; 4th International Conference and Exhibition on Physical Medicine and Rehabilitation, August 25-27, 2016, Philadelphia, USA; Australian Physiotherapy Association National Conference 2015, Queensland, Australia; 45th International Continence Society Annual Meeting Montreal, Canada; World Aquatic Health Conference, Arizona, USA; 2nd International Congress For Joint Reconstruction Southeast Asia Innovative Techniques: The Knee Course Euro; The International Congress on Obesity and Sports in Children and Adults, Istanbul, Turkey; 6th ICEEPSY International Conference on Education and Educational Psychology, Istanbul, Turkey; The 2015 ICBTS International Tourism and Hospitality Research Conference, Berlin, Germany. Rehabilitation is a treatment or treatments designed to facilitate the process of recovery from injury, illness, or disease to as normal a condition as possible. The purpose of rehabilitation is to restore some or all of the patient's physical, sensory, and mental capabilities that were lost due to injury, illness, or disease. Rehabilitation includes assisting the patient to compensate for deficits that cannot be reversed medically. It is prescribed after many types of injury, illness, or disease, including amputations, arthritis, cancer, cardiac disease, neurological problems, orthopedic injuries, spinal cord injuries, stroke, and traumatic brain injuries. The Institute of Medicine has estimated that as many as 14% of all Americans may be disabled at any given time. Orthopaedic physical therapists diagnose, manage, and treat disorders and injuries of the musculoskeletal system including rehabilitation after orthopedic surgery. This speciality of physical therapy is most often found in the out-patient clinical setting. Orthopaedic therapists are trained in the treatment of post-operative orthopaedic procedures, fractures, acute sports injuries, arthritis, sprains, strains, back and neck pain, spinal conditions, and amputations. Joint and spine mobilization/manipulation, dry needling (similar to acupuncture), therapeutic exercise, neuromuscular techniques, muscle re-education, hot/cold packs, and electrical muscle stimulation (e.g., cryotherapy, iontophoresis, electrotherapy) are modalities employed to expedite recovery in the orthopedic setting. Additionally, an emerging adjunct to diagnosis and treatment is the use of sonography for diagnosis and to guide treatments such as muscle retraining. Those who have suffered injury or disease affecting the muscles, bones, ligaments, or tendons will benefit from assessment by a physical therapist specialized in orthopaedics. As treatment continues, physical therapists document progress, conduct periodic examinations and modify treatments when necessary. Such documentation is used to track the patient's progress and identify areas requiring more or less attention. Physical therapists often consult and practice with a variety of other professionals, including physicians, dentists, nurses, educators, social workers, occupational therapists, speech-language pathologists and audiologists. Some PTs treat all physical disabilities, while others specialize in areas such as paediatrics, geriatrics, orthopaedics, sports medicine, neurology and cardiopulmonary physical therapy. Physiotherapy/Physical Therapy is a health care profession that aims to develop, maintain and restore maximum functional ability throughout life. It helps in restoring normal body function and preventing disability arising from disease, trauma or injury. PTs utilize an individual's history and physical examination to arrive at a diagnosis and establish a management plan, and when necessary, incorporate the results of laboratory and imaging studies. 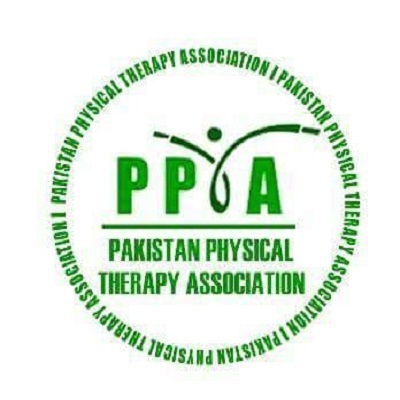 Physical therapy has many specialties including cardiopulmonary, geriatrics, neurological, sports, manual, orthopedic and paediatrics to name some of the more common areas. On behalf of the ConferenceSeries Ltd it gives us great pleasure to invite you all to participate in 3rd International Conference and Expo on Physiotherapy which is going to be held during October 13-15, 2016 at Kaula Lumpur, Malaysia with a major focus on translatory basic science into clinical testing and therapy to improve human lives, thus the theme of this conference is kept as “Physiotherapy treatments and Healthcare advancements in Modern Era”A scientific and advisory committee will ensure a highly interactive, scientifically stimulative and intensive program for the conference. Physiotherapy 2016 anticipates more than 250 participants around the globe with thought provoking Keynote lectures, Oral and Poster presentations. The attending delegates include Editorial Board Members of related ConferenceSeries Ltd Journals. This is an excellent opportunity for the delegates from Universities and Institutes to interact with the world class Scientists. The intending participants can confirm their participation by registering for the conference along with your colleagues. Avail the delegate early bird offer. The conference is a an attempt to bridge the lacunae with eminent speakers in the field of physical therapy focusing on certain key areas in hospital base, therapeutic physical therapy management. The organizing committee is confident that we will gain academically, and build relationship with others in this field as well as have a good time. 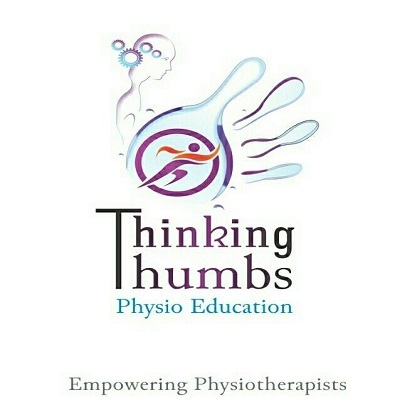 Physiotherapy 2016 will focus on innovative technologies leading to the development of both assessment and rehabilitation tools ,the conference will feature inspiring scientific presentations and plenary speakers, enhancing interactions between engineers and physiotherapists , Medical and Physiotherapy Professional experts, Physiotherapists, Practitioners, Therapists and Treatment providers , relevant clinical applications in fields such as neurology, orthopaedics, and respiratory physiotherapy will be discussed throughout the workshops. Physiotherapy, also called physical therapy, is used to treat pain by using pain relieving methods such as interferential therapy, ultrasonic, short wave diathermy, wax therapy, and muscle strengthening exercises. Physiotherapy plays an important role in the recovery of stroke patients. It also plays a major role in treating children with cerebral palsy. It also plays a vital role in cardio pulmonary rehabilitation. The physiotherapy industry can be analysed using Porter's (1979) five forces. Physiotherapy uses medical, geographic and funding segmentation. The power of the buyers in these segments is considerable. Substitutes are posing a threat to physiotherapy with few barriers to entry to operate in the health care environment. The suppliers, particularly doctors, have significant power in referring clients. Competitive rivalry for these clients can exist between individual physiotherapists and multi-disciplinary clinics. The difference in orientation of private and public physiotherapy can also be a basis for rivalry. Repositioning to view the client as both the supplier and recipients enables the physiotherapy industry to gain competitive advantage and ensures long term growth. Physiotherapy provides services to individuals and populations to develop, maintain, restore and optimise health and function throughout the lifespan. This includes providing services to people compromised by ageing, injury, disease or environmental factors. Physiotherapy identifies and maximises quality of life and movement potential by using the principles of promotion, prevention, treatment/intervention, habitation and rehabilitation. This encompasses physical, psychological, emotional, and social well-being. The national capital and most populous city of Malaysia is Kuala Lumpur. It is amongst the fastest growing metropolitan city in South-East Asia, in terms of economy and population. Rated as an alpha world city, Kuala Lumpur is the financial, cultural and economic centre of Malaysia due to its position as the capital. Kuala Lumpur was ranked 48th amongst global cities by Foreign Policy's 2010 Global Cities Index and ranks 67th among global cities for social and economic innovation by the 2thinknow Innovation Cities Index in the year 2010. The Malaysian Government has identified physiotherapy as one of the core technologies to accelerate the transformation of the entire country-Malaysia into knowledge based economy and an industrialized nation by year 2020. The Malaysian healthcare subsector is estimated to be upto worth US$ 1.37 million, and is expected to grow at a CAGR of 10.5%. By April 2011, 70 healthcare biotechnology based companies have been conferred the BioNexus Status, accounting for US$ 198 million in investment till date, and have contributed a cumulated revenue of US$ 114 millions. Undoubtedly, Malaysia presents a unique and ideal environment for prospective biotechnology business to strategically grow and lead an innovative global nation. The global physiotherapy equipment market was valued at USD 14.30 billion in 2014 and is expected to grow at a CAGR of 7.1% over the forecast period. Key driving factors of this market include growing geriatric population base, unhealthy lifestyle habits and the presence of favorable government regulations such as the Obamacare or the Patient Protection and Affordable Care Act (PPACA). WHO’s National Institute on Aging states that prevalence of dementia and neurodegenerative disorders are expected to rise sharply (25–30%) with growing age. Dementia is ultimately accompanied with loss of reasoning, speech, and motor functions. Chronic diseases and lifestyle-related habits contribute to approximately 75% of the health costs. The PPACA came into law and was enforced by President Obama in March 2010. The regulation has affected Americans and is expected to impact physical therapists in the future. The rise in the number of patients suffering from cardiovascular, neurological, and musculoskeletal diseases are expected to further propel the demand for these equipment in future, not only in the developed economies but also in emerging economies such as India and China. This market is expected to grow rapidly in the next few years due to continued westernization and urbanization in the emerging economies of China, Brazil and India. Each of the largest 54 companies is meticulously scrutinised in a two-page individual assessment and is analysed using the most up-to-date and current financial data. The global physiotherapy equipment market is anticipated to grow from an estimated US$ 14,972.1Mn by the end of 2015 to US$ 23,750.9Mn by 2022 at a CAGR of 6.8% during the forecast period. An international conference provides a common platform to share knowledge among academicians and researchers from various countries. It also gives opportunities to the related companies to share information about their latest products and also provides a platform for advertisement of their companies, hence increasing their popularity. Physiatrists, Orthopaedics, Kinesiologists, and Chiropractors, Researchers, DPT students and healthcare professionals related to the field of rehabilitation. 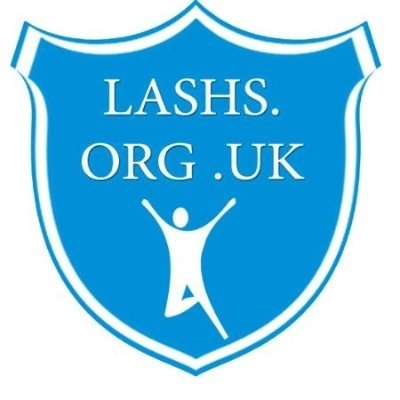 London Academy of Sports and Health Sciences U.K love to contribute to our professional community and we want to help out in any way we can. Our mission as a professional academy helps tens of thousands of clients advances their learning and gain professional development continuous education and valuable certification in in ways that are both accessible and flexible; which will make us one of the unique academies in the globe. We would like to offer you to organize “One Day Workshop in W.S.H. updated approach towards Stroke Rehabilitation and Prevention” where we can cooperate to build an excellent partnership lead to mutual growth and benefits for both of us. Along with the certificate, the participants will also grants 6.5 credit hours of continuous education of the category B of the LASHS designation. (Note: individuals interested in pursuing certain credits and accreditation, it is recommended to consider the importance of National Accreditation for their specific field or profession and make their decision accordingly). Section (1): Introduction to stroke, types of strokes, evidence based, risk factors, clinical features, pusher syndrome. 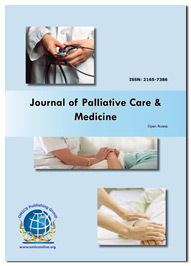 Section (2): Important and updated videos of assessment taking and patient interaction. Section (3) Additional updated approach for strokes rehab, constraint induced movement therapy, Mentamove special brain efficiency, the Matrix Rhythm Therapy, aerobic modified, robotic arm therapy, core stability, mirror neuron system, Wii video game therapy, and finally prevention of another stroke. Section (4) hands on demonstration, finally certificate distribution. Build familiarity with both the structure and content of the Best Practice. Recommendations for Stroke Care. Discuss the issues faced by families and caregivers of stroke patients on discharge home. Identify and manage risk factors for secondary prevention of stroke. BPT (RGUHS), MSc. 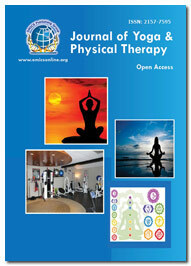 Physical Therapy (USA), MD (ALTER MED), CYT MIAP, MIRS, FRHS, AMPLR (UK), MSJA (Malaysia),MWSO ( Switzerland ). Ex Rehabilitation in charge at National Stroke Association of MALAYSIA SABAH. Consultant Physiotherapist at NOORA Specialty Hospital Kashmir. 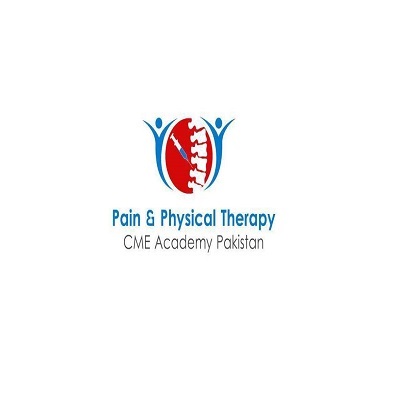 BPT (GMU, UAE), FOR, MSc of Advancing physiotherapy, University of Salford Manchester U.K.
Director, Rehabilitation Courses at London Academy of Sports and Health Sciences, U.K.
Physiotherapist, Oman Ministry of Health, Sohar Hospital.